The U.S. International Trade Commission today ruled that certain Samsung products violated two Apple patents, thus restricting Samsung from importing the infringing devices into the country. However, the ITC didn't find violations based on four other Apple patents. The ITC's ruling (PDF) doesn't include a list of all products at stake, though the violations look to encompass a wide range of Samsung phones, media players and tablets. Apple, the ITC wrote, failed to prove the Transform SPH-M920, Galaxy Tab 7.0 and Galaxy S2 infringed on an Apple patent dealing with audio jack I/O circuitry. The Samsung Continuum is also listed in the ruling. While Apple is basking in the partial victory, saying in a statement picked up by AllThingsD that the ITC is joining other courts "by standing up for innovation and rejecting Samsung's blatant copying of Apple's products," it's not a sealed deal. 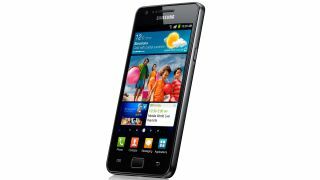 Samsung can continue to import and sell offending devices in the U.S. during a 60-day period of presidential review. It does have to post a bond amounting to 1.25 percent of the "entire value," though it's unclear where the value comes from. A Samsung spokesman said that Samsung is disappointed with the ruling, the company is happy "Apple has been stopped from trying to use its overbroad design patents to achieve a monopoly on rectangles and rounded corners." The spokesman said Samsung has "already taken measures" to ensure its products will be available for U.S. customers. Last weekend, the Obama administration vetoed an ITC import ban of older, AT&T-supported Apple products, such as the iPhone 4. It was the first presidential "disapproval" of an ITC order since 1987. The South Korean government issued a statement on Monday noting its concern over the Apple ban reversal, stating it hoped for a "fair and reasonable decision" regarding the ruling affecting Samsung. As Apple and Samsung continue to battle, why not check our review of a phone neither has anything to do with?